Never lose track of your wine glass again! These wine charms are great for entertaining. There are six wine charms in a set with a different design on each one. Your guests just need to remember their design to find their wine! 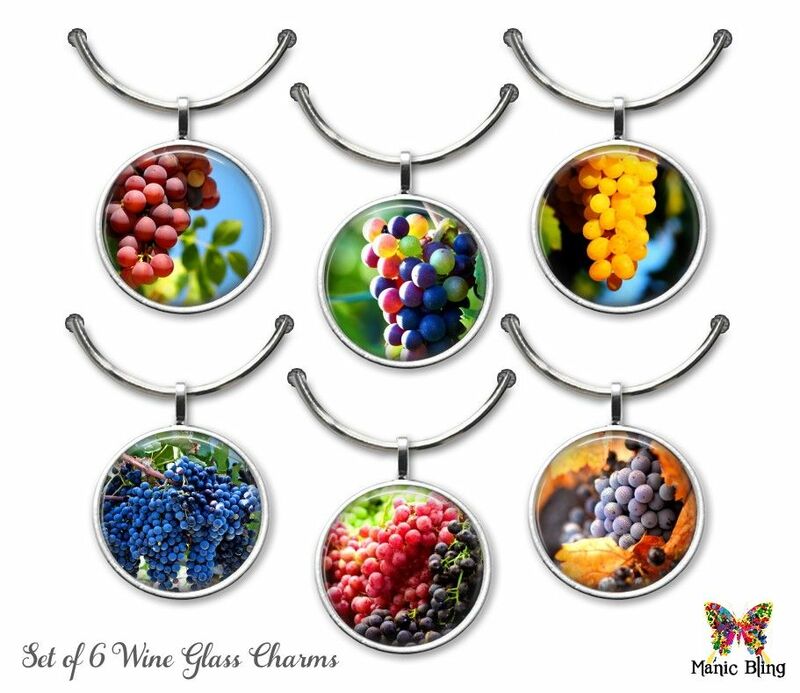 There are six wine charms in a set with a different design on each one. Your guests just need to remember their design to find their wine! 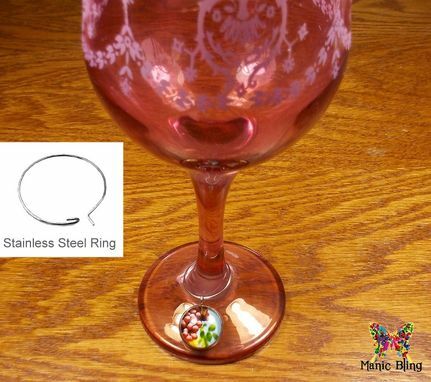 Unique wine glass charms make a great gift for a friend, relative or even a wedding gift. Stainless Steel wine glass charms will last! Small 16 mm round photo is permanently sealed under the glass cabochon. Solid stainless steel locking ring easily attaches to your wine glass stem. They are both water and wine proof, although I wouldn't advise putting them in a dishwasher. One of a kind designs. I print them on a high-resolution professional color printer and use the best quality glass. The photo cabochons will be awesomely clear and bright.